Opening Reception: Thursday, February 28, 2019, 5:30-7:30 p.m.
Meet the Artist and Gallery Walkthrough: Tuesday, April 2, 2019, 7-9:00 p.m.
Understanding Birds through Drawing: Thursday, April 4, 2019, 5:30 p.m. The Art of Identification, a collection of watercolors by celebrated bird illustrator, ornithologist, and author David Allen Sibley, is on view at the University of Mississippi Museum beginning February 26. The exhibit will display 25 original paintings from the Sibley Guides to Birds and Trees, as well as a few earlier works from the illustrator. The UM Museum will host an opening reception on Thursday, February 28 at 5:30pm to celebrate the exhibit, which is on view until September 7, 2019. Sibley will visit the museum in April for several appearances and events, including a gallery walkthrough on April 2, a step-by-step demonstration on April 4, as well as to meet with students and local birding groups in the area. A full schedule of events can be found under the events tab. “For me drawing is a tool, a method of study. It helps me to really dig in and develop an understanding of the things I am drawing, and the simple act of sketching has led to all kinds of discoveries,” Sibley said. 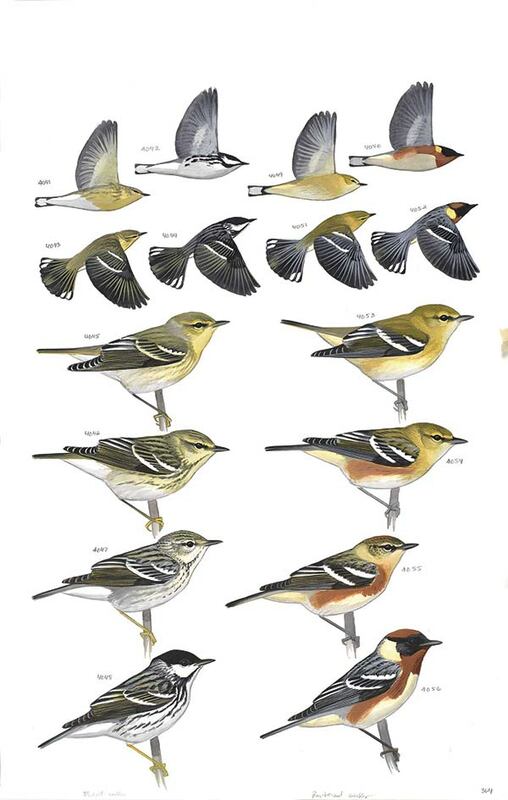 Sibley has authored and illustrated a series of guides for bird watchers and enthusiasts, which includes five volumes birds and one on trees. The Sibley Guides began publication in 2000 and have become one of the most accomplished guides for ornithological field identification in North America. “I hope that sharing my illustrations through my books and through this exhibit acts as an introduction to the birds and trees that share our neighborhoods, allowing everyone to appreciate their place in the wider natural world,” Sibley added. Local and regional bird and conservation organizations, including the Strawberry Plains Audubon Center in Holly Springs, Miss., Delta Wind Birds, and the Mississippi Ornithological Society, are equally excited to share Sibley’s knowledge and illustrations with the Oxford community. “One could say the depth of Audubon’s legacy is carried today by David Allen Sibley, whose detailed avian portraits are equally field guides and works of art,” said Mitch Robinson, Conservation Education Manager at SPAC. “John James Audubon, the namesake of the National Audubon Society, was the first European to document, draw and bring to life the diverse abundance of avian life in North America, inspiring awe and wonder in naturalists and bird lovers alike for over two centuries,” he added. Admission to the UM Museum, as well as to the opening reception, is free. The galleries are open every Tuesday through Saturday, from 10 a.m. to 6 p.m. Be among the first to know about upcoming events, exhibits, and workshops by becoming a member and supporting the mission of Mississippi’s largest academic museum. The UM Museum is located at the intersection of 5th Street and University Avenue. For more information, call 662-915-7073 or email museum@olemiss.edu.